South Carolina Hunting Plantation for Lease. 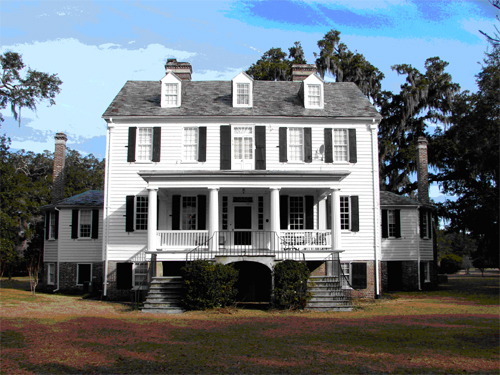 Plantation Services has been selected to represent the University of South Carolina in procuring a lessee for The Wedge Plantaton, a 1500 acre historic plantation located on the Santee River in Charleston and Georgetown Counties, South Carolina. The University of South Carolina is the fee simple owner of approximately 1503 acres of property in the coastal area of Charleson and Georgetown Counties known as the Wedge Plantation. 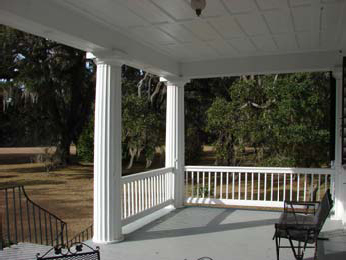 The property is a historic riverfront plantation that contains a large plantation home of 8,665 sq. ft., a caretaker's cottage of 2,546 sq. ft. and miscellaneous additional out buildings. 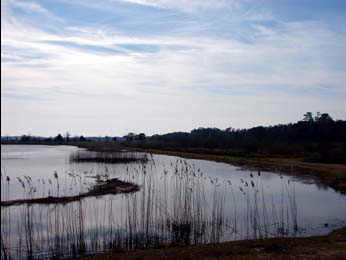 The tract contains approximately 970 acres of uncontrolled marshland on the north bank of the South Santee River in Georgetown County. The remaining 533 acres are located in Charleston County and is the site of the plantation home and associated buildings. Site improvements include an unpaved road and driveway, beautiful grounds, and a series of freshwater and saltwater ponds and waterfowl impoundments. The property has been used for the past 10 years as a hunting retreat by a private leaseholder. That lease expired on January 30, 2007, and the University is interested in entering another 10 year lease for the property under the following terms and conditions. The University will lease the property subject to any and all conditions, restrictions, or easements affecting the property, including that certain easement crossing the property from the Santee Public Road to Harrietta Plantation, which is depicted as "Seven Mile Road" on a plat of J. A. Schmidt, dated May 1966 and recorded in the R.M.C. Office for Charleston County in Plat Book U at page 164. The use of the property will be limited to hunting, fishing or other wildlife related activities not inconsistent with the University’s desire to maintain the property in a natural wilderness condition. The University will reserve the right to continue to use the property for educational, research, and scientific purposes and to allow non-profit organizations to make limited use of the property with advance notice to the Lessee. The University prefers to have the property leased in the name of a single individual who will not sub lease or otherwise authorize others to use or possess the property other than as guests of the Lessee. However, the University will consider other proposals provided there are adequate provisions in the Lease document to fully protect the property and environment. The University will look to the Lessee to be solely liable for the safety, condition, and maintenance of the property during the term of the Lease. The Lessee will be responsible for payment of all utilities and insurance on the property and for maintaining the property according to an annual maintenance schedule that will be approved by the University. The University has estimated annual maintenance costs that will be borne by the Lessee to be $120,000. Therefore, annual lease amounts offered will need to be at least that amount. Any unexpended amounts from that offered as annual lease payments, or any amounts exceeding the $120,000 annual maintenance requirement that is offered by the Lessee in exchange for the 10 year Lease, will be remitted to the University as Lease payments.